Do you have a gameplan for Marriott’s upcoming August bonanza? 25 Comments on Do you have a gameplan for Marriott’s upcoming August bonanza? Some of Starwood's most expensive properties will be up for grabs for much less once they move to Marriott in August. Are you ready? A couple days ago, Marriott announced the new categories that will be used in the combined SPG/Marriott Rewards program from August 2018. It’s probably an understatement to say that I (plus everyone else in the miles and points world) am excited beyond all reason at some of the (limited time) opportunities that have been created by this re-categorization. As a reminder, here’s the chart that will take effect from August 2018 (Marriott hasn’t actually said when in August). Remember that the chart below is based on points in the new program. Existing SPG points will be multiplied by 3 in the new program, Marriott Rewards points will be transferred at a 1:1 ratio. Category 8 and peak pricing will only be introduced from 2019. That means that between August 2018 and the end of this year, the most expensive property in the Marriott/Starwood collection will cost 60,000 points (20,000 SPG points) a night. SPG’s collection of uberluxe properties. The prices here reflect a 35% discount for a promotion. Check out those regular prices! Let’s be honest. August is going to be a blood bath. Members in the US, accounts flush with points from easy credit card bonuses and MS, will be jumping on the chance to get bucket list properties like the St Regis Maldives (~US$3,000 a night) for 20,000 SPG points (US$455 when you buy points under the current SPG points sale). I predict a riot, with phone lines jammed, websites down and the National Guard mobilized. This means that when it goes all Mad Max Fury Road in August, you need to be prepared. Nothing could be worse than finally getting through to the CSO, finding your preferred date isn’t available and hemming and hawing about having to check with your travel companions whether they can do different dates and calling back. Forget it. You need Plan A, Plan B, Plan C and quite likely Plan Z all lined up neatly in a spreadsheet, complete with dates and locations, ready to feed to the CSO (in the old Starwood program the top tier categories couldn’t be booked online; you’d have to call/chat with Customer service. I’m not sure if that quirk will carry over). I have accumulated ~250,000 SPG points to date, a combination of points purchases and five years of business travel. I will coerce The Milelioness to purchase a further 30,000 in the current SPG points sale. This gives me ~280,000 SPG points (840,000 new program points) to work with. Here’s the list of properties that will be in the new Category 8 bucket from January 2019 (or Category 7 from August till the end of 2018). These are the ones that you should be trying to book between August and December 2018 (you can book rooms 350 days in advance). That’s a long list, even after removing places I don’t particularly fancy traveling to, so I’ve developed two heuristics to decide how to prioritize my targets. I’ve added the room rates to the Category 8 hotels to give you a sense of where they stand. Fair warning- I took dates at random to get a snapshot view. I’m well aware that there may be peak seasons for some properties (eg winter at a ski resort) which could cause the prices to change dramatically, but I’m not about to do that kind of research. Use these numbers as a dipstick, nothing more. I could burn 20,000 SPG points on a room at the Blue Palace Crete, a property where rooms go at around US$500 a night. That would net me 2.5 cents per point, a completely respectable amount. But given the context, I’d be dumb to do so. US$500 is a lot, but with the Citibank Prestige card’s fourth night free offer, I could just about justify spending that amount of money for a special trip. On the other hand, the St Regis Maldives is an eye-popping US$3,400 a night. Fourth night free or not, there’s no way I’m going to be able to spend that kind of dough. This goes back to our classic “value versus access” argument that I often cite when teaching people about miles. Sure, I could take my entire SPG stash and cash it out for many, many nights at the Four Points Bangkok (67 nights, to be exact), but I’d much rather use them to access an experience that I could never afford normally. The problem is, the “book the highest value hotel” approach may cause you to do some irrational things. I’m in the midst of planning my honeymoon to the Maldives now, and have been religiously researching the W Maldives vs the St Regis. From what I’ve read, the W Maldives seems to have a better beach and much, much nicer house reef, whereas the St Regis can overall be a bit hit and miss. And yet, I feel obliged to go with the St Regis because the W is “only” US$906 a night. That’s still a buttload of money, and not something I could normally afford, but if the W is unaffordable, the St Regis is extra extra unaffordable. Don’t get me wrong, I’m sure the St Regis will still be amazing, but if I’m honest I’d say I’m going more for the hype than the actual reviews. You might be in this situation too if you’re eyeing a city that has multiple Category 8 hotels, like New York City, Miami, Paris, Bora Bora, Venice, Tokyo or Koh Samui. There are those who say “the best redemption is one that makes you happy” and to a certain extent I agree. For example, it would make very little sense to force yourself to pick the St Regis New York over the Gramercy Park Hotel, Ritz Carlton or Chatwal just because it’s more expensive if you genuinely prefer the location/style/reviews of the other properties. The combined program will retain the 5th night free policy that Starwood has on award stays. This means a 4 and 5 night stay cost the same. If I wanted to maximise this, I should be looking at a place I could see myself staying 5 nights without getting bored. You’re going to have to take this call based on your circumstances and what you value. The first step is to analyze how many points you’ll have post August, when your Starwood points are multiplied by 3 and combined with whatever Marriott Rewards points you have. Decide whether you want to buy points in anticipation of the changes. The second is to identify the properties you want to stay at, based on the rules above or whatever other criteria you’ve identified. Third, I’d think of at least three sets of dates per property, based on when you can take leave. Here’s 2019’s public holiday schedule in case you need ideas. Remember that hotels can be booked 350 days in advance. Fourth, just before the bookings go live in August, camp out on the site and on the chat/phone lines. Platinum members have access to live online chat, and it wouldn’t be a bad idea to open a window for that as well just so you have an additional avenue of reaching someone. Fifth, once the floodgates open, act fast! Assuming these awards can be booked online, I’d focus on locking in my “Plan A” online while giving “Plan B” to the CSO (no, not that Plan B) to search in the background. I’d probably also rope in at least one family member to search for Plan C etc online in a separate browser logged into my SPG account. Be sure to give them idiot-proof instructions and brief them properly! The more eyeballs you have looking for rooms, the better. Will this work? Your guess is as good as mine. But the more you prepare, the more research you do now, the better placed you’ll be come August. One final point- some people may want to try and beat the crowd by making a booking now, and getting the additional points refunded come August 2018. That can work, but the points will not be refunded automatically. This implies a risk- when you do rebook, you’ll need to cancel your original booking and there’s no guarantee you’ll be able to get it back, what with the positive deluge of people clamoring for rooms. If you go down this path, my advice would be to rebook over the phone with a CSO, instead of handling it yourself online. It seems more conceivable that a CSO could do a points adjustment without having to return that room to inventory, versus doing it online where you’re for all intents and purposes cancelling your original booking, defeating the purpose of choping a room. hahaha yes, yes i know. but you marriott guys don’t even need points to book a reservation…what’s up with that? I currently have 0, and was going to buy some using my flatmates account. A maximum of 30,000 Starpoints may be purchased or received as a gift into your account per calendar year. Could you guys confirm that it is indeed not possible to buy/receive more than a total of 30K points? Meaning the Milelion, you would not be able to use Milelioness account to buy more for you either? May I buy more than 30,000 Starpoints per year? Your account may receive up to a maximum of 30,000 Starpoints per account per calendar year, whether purchased by yourself or received as a gift from another member. However, you may purchase as a gift for other accounts, as many Starpoints as desired. Each gift recipient can receive up to 30,000 Starpoints per calendar year. What you can do is to gift each of your flat mates 30k Star points and 30 days later, transfer all points to you. I have done it and bought myself a travel package this way. noob question: Do I call SPG CSO or Marriott CSO to make the redemption? Since St Regis Vommuli is an all-Suite/Villa resort, you might end up having to fork out more points per night than 60k tho right? Or is this just an SPG rule? Any idea if we can redeem the points for a stay in 2019 at the reduced rate? I.e. I wanna stay at, say, W Maldives but can only travel in April 2019. 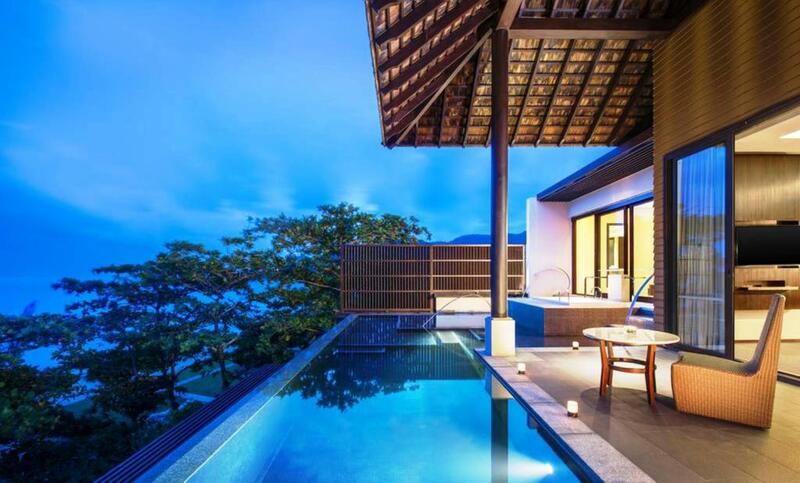 Can I book this stay in August 2018 at 60k Starpoints? Yeah. I also want to know this. It’s not entirely clear in the article Aaron. Would be great if you could clarify. 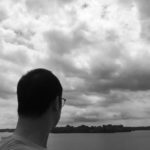 From what I understand from Aaron article and other bloggers, the answer to Gweegin is a Yes. From Aug’18 to early 2019, you can book 20k spg points per night for stays 350 days in advance. Meaning April 2019 is possible and till somewhere mid July 2019 you can reserve, assuming you call the CSO on 1st Aug 2018. So assuming till early 2019 the new category kicks off, we can essentially plan the whole 2019 stays using 20k spg points per night. Hope my understanding is correct. Sorry I am a little confused. 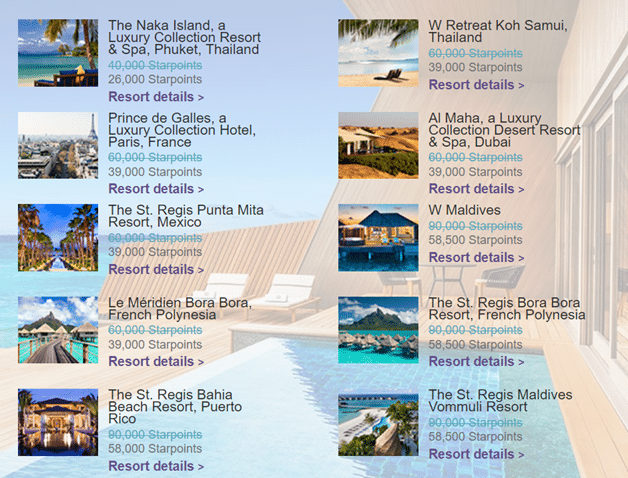 90,000 Starpoints for St Regis Maldives now right? But in your table, it’s not indicated what currency? So I see 90,000 for this hotel, which will be 60,000. But is that SPG currency or Marriott currency? Not sure where the 20,000 figure is coming from? the reason for the confusion is that on the marriott site, they consider st regis maldives to be a cat 7. on paper this cost 30,000 spg points, which is 90k marriott points. however, in practice it is impossible to book it at 30,000 points because this is an all suite property. therefore the points requirement becomes 90,000 spg points. Hi Aaron! Thanks for this article! I’m a little confused as well, are we saying that we need 30K SPG points for one night at St. Regis Maldives? & for non all-suite properties it would be 20K SPG points a night? Adding on to the 5th night free policy, we will require 120K and 80K SPG points respectively for the two property types. oh no, the award tiers seem to have changed?! hardly any 30K difference? Have they rationalised? ah ic. Thanks for the ultra prompt response. Looks like things are still murky…I just hope the new combined program CSOs are competent enough to handle the volume of calls and doubts that will be thrown at them..
Next Entry Interested in a further session of Power Award Searching?